We are pleased to join the HearingLife family. If you have been with EarCare, you will still find our same friendly staff are here to meet all of your hearing wellness needs. Our logo and branding may be changing, but we still offer outstanding care, world-class hearing aids and the friendly team you've known for years. If you believe that you or a loved one has hearing loss, we invite you to stop in for a free hearing assessment* at our office in Ponca City. We are located at 2010 North 14th St. If you are running late for an appointment or need help finding us, please call (580) 382-3070. Has anyone ever asked you that? If so, make an appointment to discuss your needs with our professionals. We offer tailor-designed solutions, including hearing aids, for people who want to regain confidence that their hearing loss won't impact their relationships. If you have trouble hearing, with hearing aids you can manage more independently, because you heard information correctly the first time. We know that you have options for your hearing care. That's why the team at HearingLife makes sure that you are fitted with the best product that meets your individual needs and budget. If you have problems hearing, test out the various styles of hearing aids that we offer. The nuances of sound play an important role to your life. Whether your hearing loss is profound or you have mild loss at high frequencies, we will find the appropriate solution for your needs. Come for a demonstration of HearingLife's latest devices in our location in Ponca City to test hearing aids out. We carry many options - including in-the-canal and behind the ear - so you can make an informed choice. 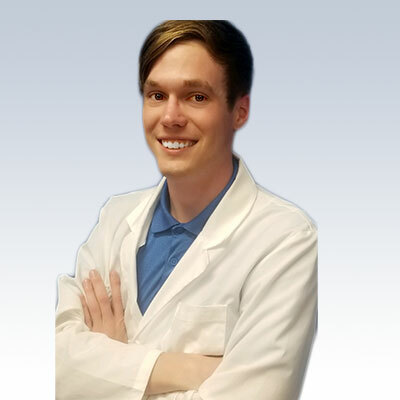 Nathan Hunter is an experienced licensed hearing instrument specialist. He offers comprehensive hearing assessments and will work with you to find the best hearing solution for you. Nathan is trained in the latest technology and offers a complete selection of hearing aids from many manufacturers. He also offers personalized follow up care to ensure that you remain satisfied with your hearing.